In a word, Shubhra Saxena is the embodiment of empowerment. Hearing the word ‘no’ or being told she couldn’t do something have served as the spark she needed to live her best life. Six years ago she decided her time had come to find ways to empower others as well, through the art of creative expression. Located at 11720 Medlock Bridge Road in Johns Creek, Pinot’s Pallete offers its guests an evening of friends, fun and painting. Yet, Saxena says it was people with these deeply southern roots that became her staunchest supporters. 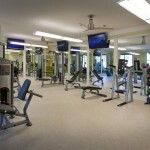 The Regency at Johns Creek Walk: What has been the biggest challenge you have encountered and how did you overcome it? Shubhra Saxena: My biggest challenge has been multipronged. We pay a lot of money in franchise fees to develop and copyright our beautiful paintings. It's been heartbreaking to see them stolen by competitors who charge customers less. After trying different tactics, the only thing that worked was sticking to our price point and ensuring great customer experience. Once our guests experience a session at our studio, discerning ones immediately understand why we are legions better! RJC: What do you most enjoy about your work? SS: I love meeting different people and connecting with them at various levels. All our regular guests have personal connections with me or their favorite artist at our studio.. we aim to provide a composite and meaningful experience to all our guests. RCJ: Who inspires you and why? SS: My dad is my biggest inspiration. He has inspired me in many ways to become who I am. I'm also inspired by every strong person around me. Anyone who has overcome any sort of adversity is an inspiration. I prefer to look for inspiration in real life – people around me – rather than celebrities. RJC: What is the most important lesson you’ve learned about running a business? SS: Watch your funds and keep track of trends. RJC: Can you describe a moment or moments when you stopped and realized this is why you are doing what you’re doing with your life? SS: When guests walk in and stop to give me a hug before finding their seat, I know I've made a difference in their world. It makes everything worthwhile. RJC: What advice would you offer to other small business owners? SS: There is no “success.” A small business is a never ending marathon. Chalk up small victories as you keep moving… always, always keep moving! The worst thing you can do is stagnate. Network, read a book, try something new.. remember not everything will work. And if everything you try is working, you hit the motherlode and you need to push your boundaries farther! 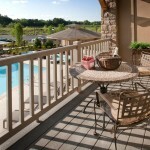 At The Regency at Johns Creek Walk, we believe wholeheartedly in living your best life. And we know that for many of us that starts on a daily basis in the community we call home. That is why we love finding new ways to support local businesses, as well as the beautiful community of Johns Creek itself. 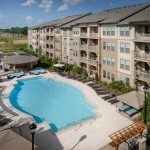 For more information, or to schedule a tour, call (770) 495-8000 today.